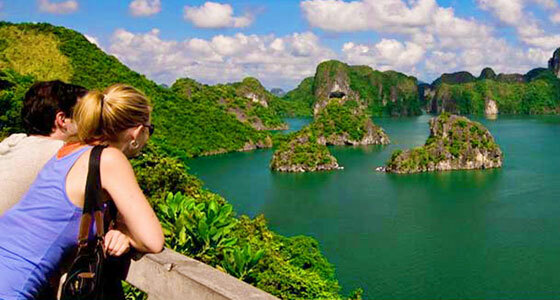 This two-day, one-night tour takes you from your hotel in Hanoi to the explore the stunning landscapes of Lan Ha Bay. You will travel on an exclusive private traditional Wooden sailboat starting from Cat Ba Island and weaving between the karst islands. 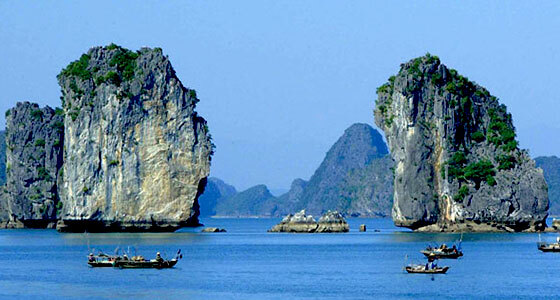 After the journey from Hanoi to Haiphong, you will take a high-speed boat to Cat Ba Island. On arrival, at about midday, you will board the traditional junk to enjoy a seafood lunch and trip through Lan Ha Bay, a protected site and part of Cat Ba National Park. You will then enter Halong Bay working your way between little islands inaccessible to the larger boats. You will visit a floating village as well as exploring a large limestone cave which has some beautiful lagoons. After, you will travel to the remote and beautiful Three Peaches Beach where you can swim, snorkel over the coral reef or relax on the beach. You then return to the boat where you can enjoy a delicious seafood dinner. You will spend the night on board the boat, anchored in the bay. Rising to the sound of the ocean, you can enjoy sunrise and breakfast on board before continuing through the bay. 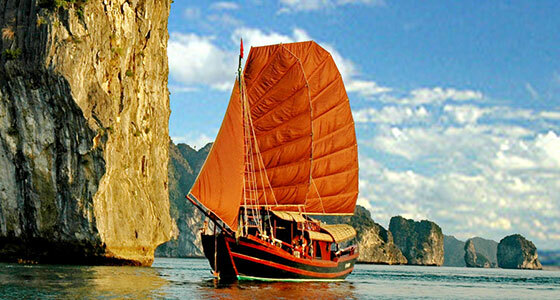 Today, you will board the kayaks to explore Lan Ha Bay and visit a fish farm followed by lunch on board. Whilst you are are enjoying your lunch, the boat will take you back to Cat Ba Island where you will disembark to begin the journey back Hanoi. You will arrive back in Hanoi at around 18:00. + Private boat trip and kayak.